Get Your Students Ready for Online Testing! Join schools across the country and get your students ready for the Common Core and other online testing. 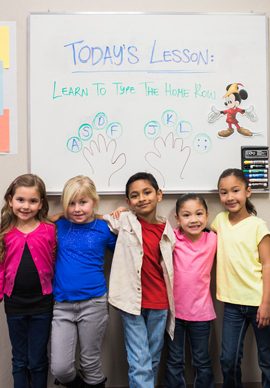 We designed Disney Mickey's Typing Adventure specifically to teach young children keyboarding skills. As an educator you know that typing is like learning to play the piano — it takes practice. 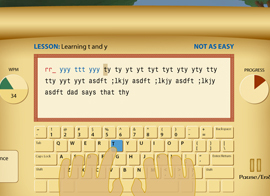 Disney Mickey's Typing Adventure makes practicing typing fun and engaging. In addition to a proven educational design, students embark on an exciting story that unfolds as they are taught to type and motivates them to keep typing following one of 11 complete Typing Courses. 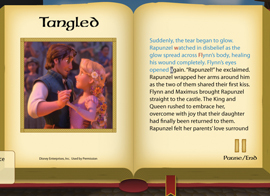 Several fun typing games with favorite Disney characters, colorful animations that delight young students, and rewards keep them typing all the way to the Palace! Typing lessons are presented in sequence as students learn the keyboard on their typing course. 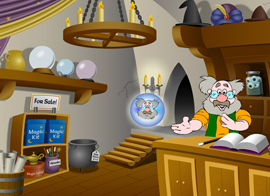 The Shopkeeper joins students on their typing adventure and guides them every step of the way. The Academy is a fun place for students to practice typing once they have learned the entire keyboard.